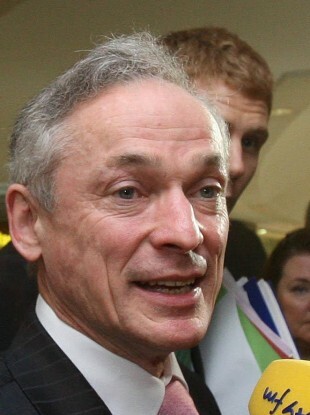 MINISTER FOR ENTERPRISE Richard Bruton continues to be criticised for his proposals to change wage agreements for some 250,000 workers in Ireland. Labour TDs continued to criticise plans by Bruton to implement changes to wage agreements covered by the Joint Labour Committee (JLC) agreements which would allow some financially struggling companies to drop out of such agreements, as well as change Sunday wage agreements. Yesterday, backbench TDs Michael McCarthy, Colm Keaveney, Robert Dowds, Sean Kenny, Derek Nolan and Kevin Humphreys issued statements criticising Mr Bruton or his proposals. The Irish Times reports that in the first open rift in the coalition government, there is private satisfaction in Labour circles that Taoiseach Enda Kenny said that Bruton was pursuing a “personal agenda” even though he later played down this remark. Minister for Communications Pat Rabbitte yesterday said that people should be “very careful” in adjusting the pay of low-paid workers. The paper also reports that Labour sources have in recent weeks been annoyed by the actions of some Fine Gael ministers. This includes premature statements on the jobs initiative from Minister for Transport Leo Varadkar and Minister for the Environment Phil Hogan’s statements on introducing a household utility charge and reducing the number of Dáil deputies. Bruton told the Irish Examiner that “of course” he had the full support of the Taoiseach and said that the government had tasked him with the responsibility of making proposals for the issue of wages. Speaking to RTÉ’s Late Late Show last night, Kenny said that he and his minister were “singing off the same hymn-sheet”. Email “Bruton continues to come under fire from Labour over wage agreements ”. Feedback on “Bruton continues to come under fire from Labour over wage agreements ”.